Why I get banned to question again? In the past, I asked some bad questions thus I got banned for half of a year. After half of a year, I learn my mistake and I try to ask better question (some say the site can't accept the kinds of better questions that go from worst to bad, but how about bad to normal?). I just ask one question and I got banned again, even though the question is not votedowned or anything (this: How to check if NPCs are on ground or not?). So what's the deal? After 6 months and I can't even start fresh again as a new user? Thanks for posting this here. 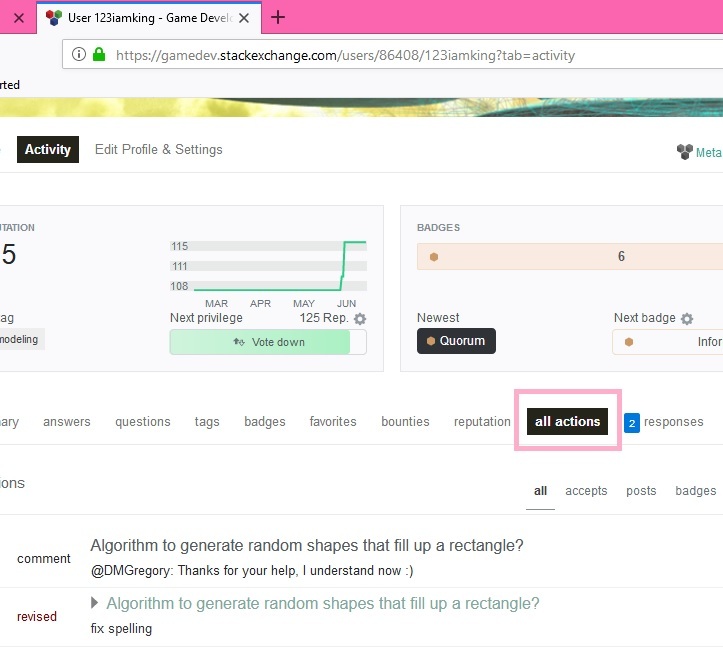 Mods don't know the full set of rules of why some users get banned from asking questions because StackExchange staff has not shared them with us. We're constrained to using what's publicly known. And your situation seemed odd, because it did not fit with what we know. The way I read it, it means that if that question-after-a-6-months-ban does not get upvoted, you'll be banned from asking questions again. This seems to fit your situation: your new question did not get upvoted. I suggest you revisit some of your old, deleted questions, improve them, bring them on topic, make them answerable and "up-voteable" and un-delete them. If there are questions in the comments, edit the question to address these, etc. This might help raise the question ban. I'm thinking of your question about how to play a sound with OpenAL. You could try and add more details about your current implementation to narrow its scope. You could also try to reword your question about the architectural patterns in a way that it presents a specific issue that you have with a pattern that you need to use in you specific application. As stated on the help page I quoted above, "Stack Exchange cannot lift question bans by request. ", so I assume that the ball is in your court now. To un-delete the questions, go to "all actions" and find the deleted questions, click those questions and un-delete them. Lesson learned: Never delete the upvoted questions even if they are closed questions. Can I get a question deleted? How does meta reputation work, especially when I get reputation removed in main? Why did I get an email saying I've asked a question on GameDevelopment.SE? What should I do if I get conflicting answers? Why did this “First Post” question appear in my to-be-reviewed queue after being one month old? Why this question doesn't get answers? Is my question OK for this site?